Holi is among the famous festivals celebrated in India. This festival signals the end of winter and the arrival of summer. Celebrated usually, in the beginning, or middle of March, the festival has two major religious rituals i.e. the bonfire popularly known as Holika Dahan, which is held during the night and a celebration with colours is held the following day. The festival mainly indicates the victory of good over evil. However, the ways to celebrate Holi vary largely based on different cities of India. 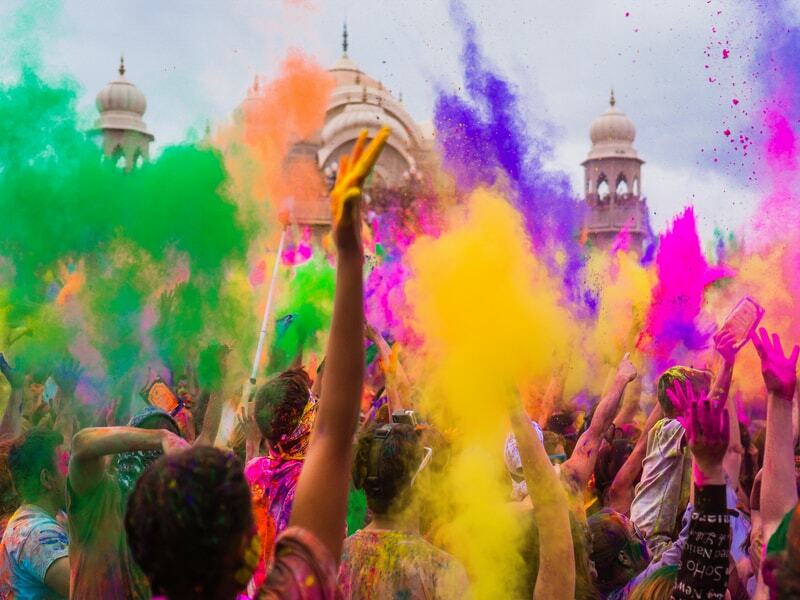 If you are looking to celebrate Holi 2019 in a different way, then head over to one of the popular cities of India and celebrate it away from your home. 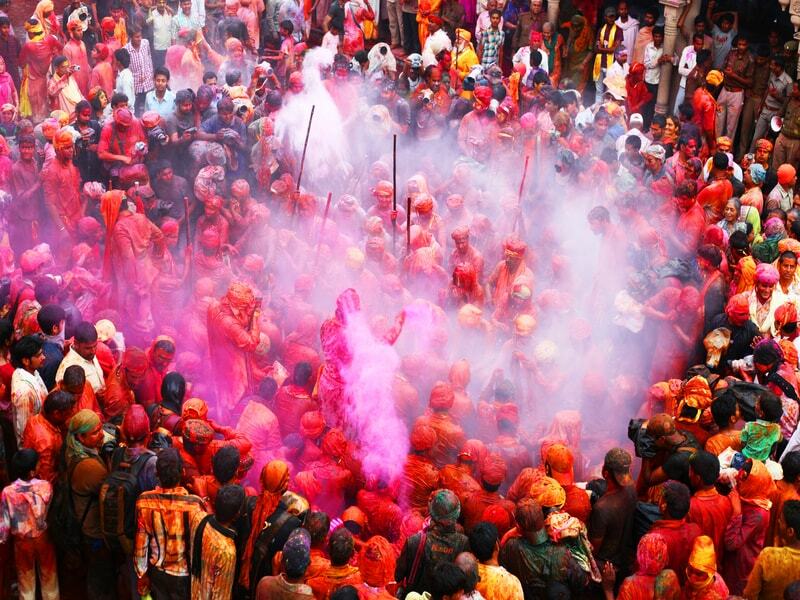 We at Kesari Tours have picked some of the best holi destinations in India especially for you. 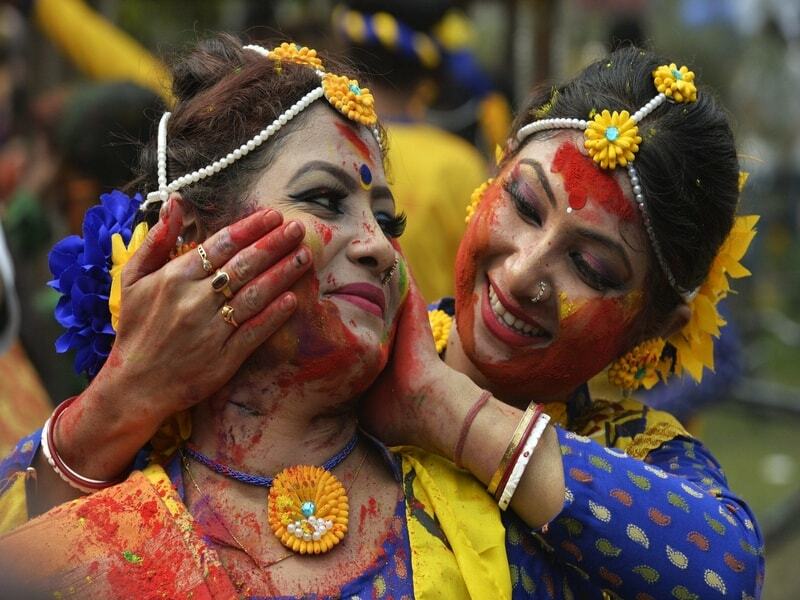 People of Vrindavan celebrate the festival of colours with lots of gusto and fervour. As one of the famous Indian festivals, locals organize a huge procession smearing themselves in vibrant colours dancing with the drumbeat. If you want to get a glimpse of the fantastic Holi celebrations in the land of Lord Krishna, Vrindavan, you should make sure you visit a few days before to enjoy Phoolon Wali Holi celebrated on Ekadashi i.e. four days before the colour festival. Accordingly, priests of the temple throw flowers at the Lord Krishna’s devotees. Other than the normal rituals of Holika Dahan and playing with colours, you can celebrate your Holi in Mumbai in different and unique ways. If you are willing to do something different during the festival of colour this year, then you may wanna visit Dharavi’s slum community in Mumbai. You can enjoy the colour festival using natural colours and interact with Dharavi’s community. 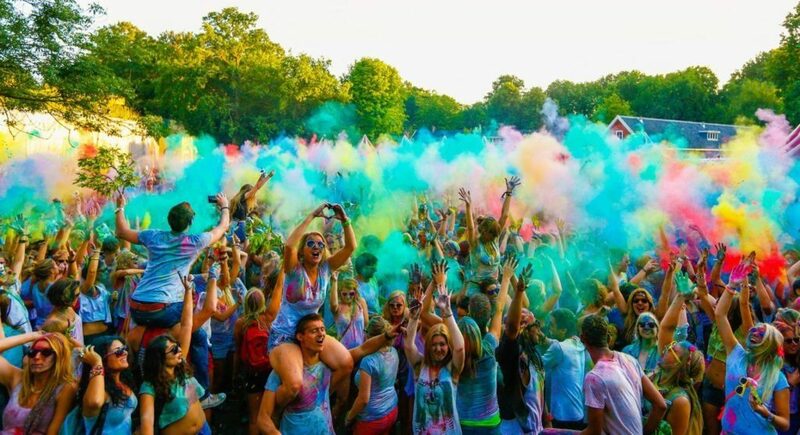 Alternatively, if you want to catch and mix with famous Bollywood celebs and enjoy live performances of famous Bollywood actors, check out the Zoom Holi Fest, recognized as the biggest Holi celebration for Bollywood stars. If you want to relive India’s ancient tradition and culture during your Holi festival, you should travel to the famous Shantiniketan University to celebrate Holi in Kolkata, West Bengal. Immerse yourself in the Basant Utsav, the renowned poet Rabindranath Tagore introduced and celebrate it in a unique zest with students from the university. On the festival day, students of the university dress up in their colourful attire and participate in cultural programs to entice the visitors. With the perfect blend of colours, cultural songs and dance, you can have the best Holi celebrations in Kolkata. Don’t forget to have your fill of fabulous Bengali sweets. As the capital city of India, Holi celebration in Delhi has two unique features. Accordingly, people of Delhi commence their celebrations with Tilak, where Tilak implies a traditional colour mark drawn on the forehead of the family’s elder member. A few people perceive it as a symbol of honour, while for others it indicates confidence. Secondly, people in Delhi welcome each other with garlands before starting with their celebrations with vibrant music and colours. 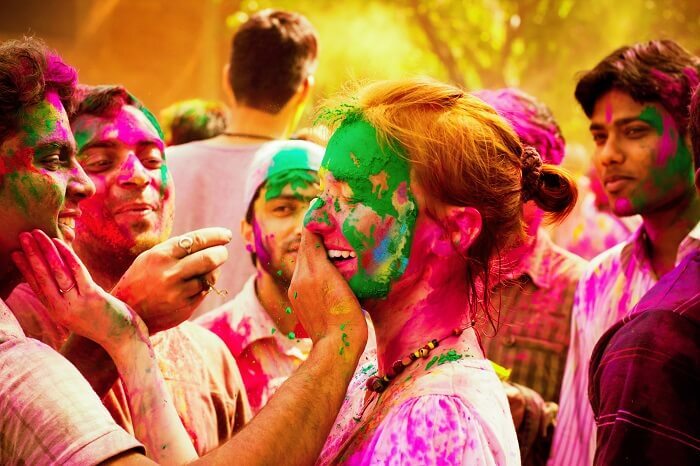 Like other cities of India, Holi in Goa is celebrated with the necessary religious traditions. Other than vibrant colours of neel and gulal combined with mythological enactment, Shigmotsav is the prime attraction of Holi celebration in Goa. This festival is a celebration of Goan Hindu traditions and mythology. Beginning from the 9th day of the moon to the full moon during the Hindu calendar month of Phalgun (March). Don’t forget to check out outstanding performances of troupes in cultural dramas and parades. If you want to experience a different Holi from the usual, plan your getaway. Connect with Kesari Tours today.